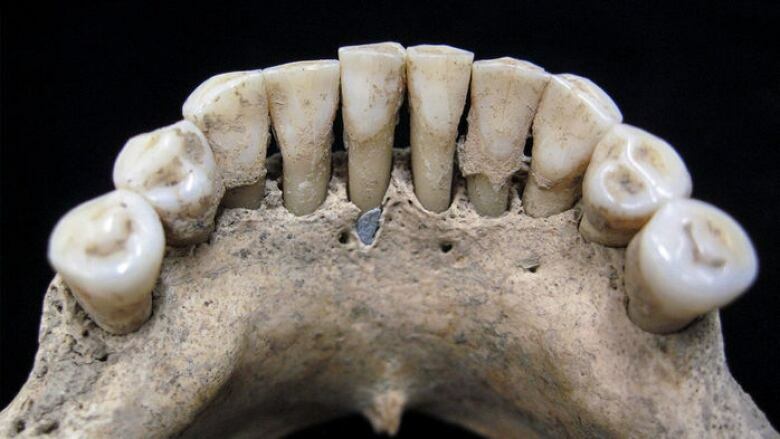 Tiny fragments of vivid blue paint found in on the teeth of a woman who died about a thousand years ago in Germany suggest that women were more active participants in the production of important books in medieval Europe than previously thought. "I think, for people that study this in detail, a picture is really emerging that women were very important in book production," anthropologist Christina Warriner told Quirks & Quarks' Bob McDonald. 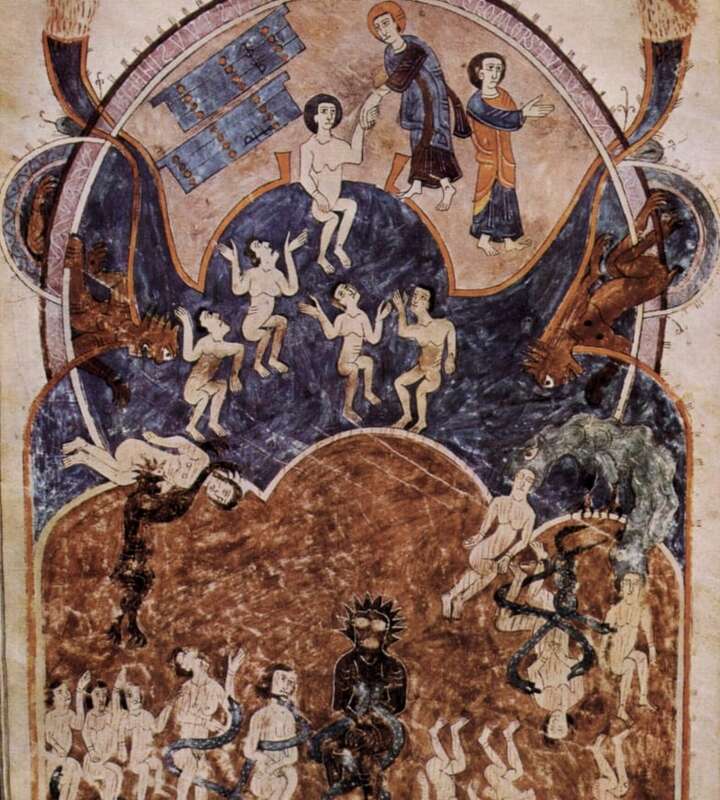 Illuminated apocalypse scene from the Beatus Apocalypse of Gerona was illustrated by the priest Emeterius and by Ende, a “woman and servant of God.” This Spanish manuscript is the earliest known (10th century) use of lapis lazuli pigment associated with a female painter during the European Middle Ages. The woman's skeleton was found after the excavation of a new building site in Dalheim, Germany, near Frankfurt, revealed the remains of a medieval cemetery. "The cemetery was associated with a small church dedicated to St. Peter that had a women's religious community associated with it," Warriner said. Archeological excavations revealed that the monastery was established perhaps as early as the 10th century, and was occupied until it was destroyed by fire following a series of 14th century battles. During that period the monastery is believed to have been home to a small community of around a dozen women. Warriner, who studies the history of the human microbiome, studied the bones of one of the women. Carbon dating suggested she had lived and died early in the life of the monastery, perhaps around between 1000 and 1200 AD. Her skeleton initially appeared unremarkable — until Warriner looked at her teeth. Teeth are of particular interest to anthropologists because important information about what people ate or what diseases they carried can be preserved in layers their hardened dental plaque. To study what was preserved in the plaque on the dead woman's teeth, she dissolved it, and was surprised when tiny blue particles emerged. 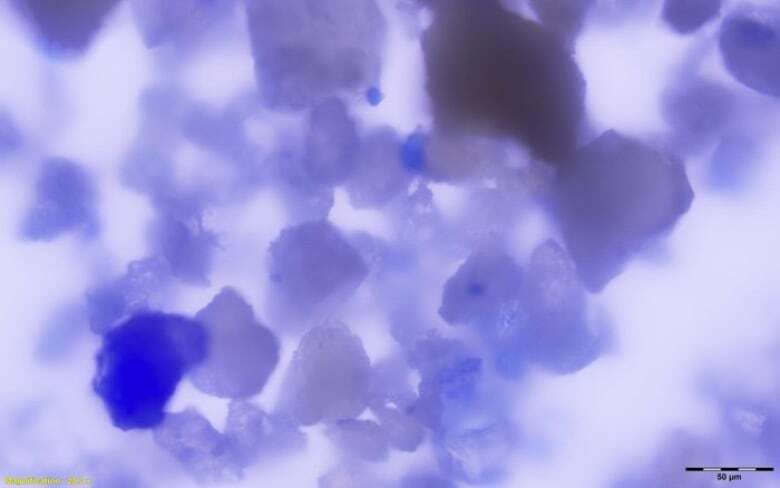 Various spectrographic methods revealed that the particles were pigment made from the mineral lapis lazuli – a substance worth more than gold in Europe at the time. "Lapis lazuli is a blue stone. 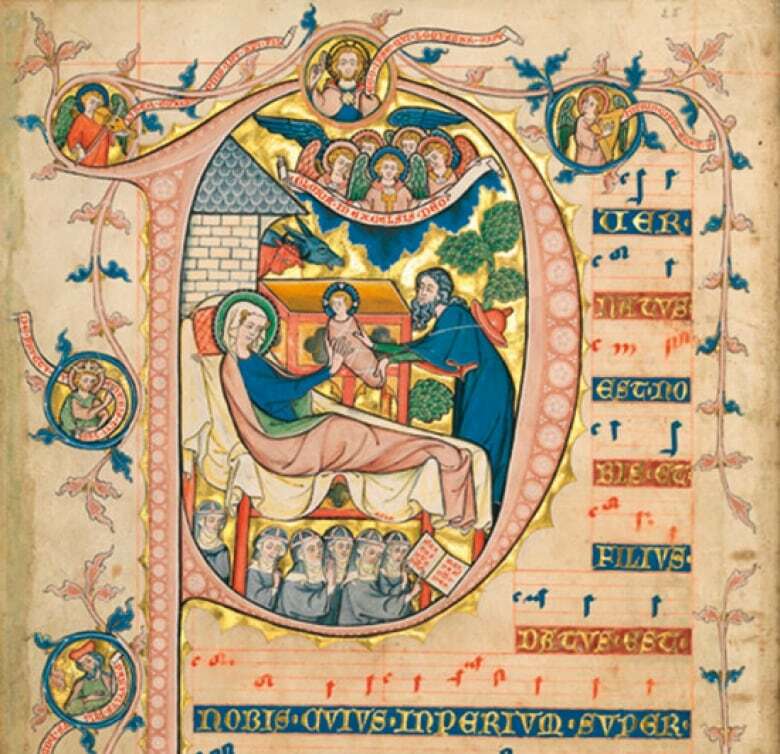 It's not that common today but it was one of the most expensive and rarest of artist materials during the Middle Ages," said Warriner. "At that time, there was only one known source of it and that was Afghanistan." At first, Warriner and her group of researchers struggled to explain how the pigment came to be embedded in the woman's dental plaque, until they concluded it was most likely explained by "a specific artist's technique." "She would have licked the end of the brush in order to improve her ability to paint in such fine detail," she said. Warriner and her team concluded that this woman was likely an artist of great skill, the kind entrusted with the use of such a valuable pigment to work on important religious manuscripts. "Lapis was largely used to do the illuminated paintings that appear in the books and was not used to actually write the text — it was used to paint the heavens and to paint the veil of Mary. So we think that she was actually painting images," said Warriner. Although Germany during this period was known to be a centre of book production in Europe, little was known about women's contributions to it. 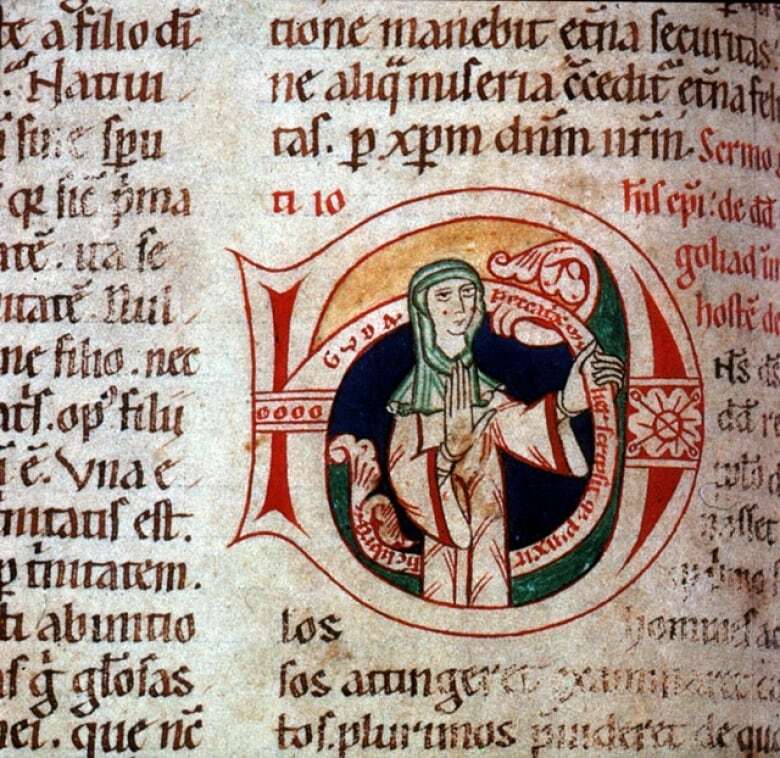 In the past, historians assumed that literacy among women was not particularly common in the medieval period at all. The conventional image of book production before the invention of the printing press is often a scribe hunched over a bench, painstakingly illuminating gorgeous manuscripts. Inevitably the figure in such a picture is male — perhaps a monk or another male member of a religious order. Medieval scribes did not usually sign their work. Without any evidence, visual or otherwise, of women's work in the field, historians had assumed women played a very minor role in book writing and copying.